The Ground Floor of Westlake Financial is a high density workspace for hundreds of staff members who sell and service a variety of loan products across four time zones. Thus the space is occupied for long hours every day. 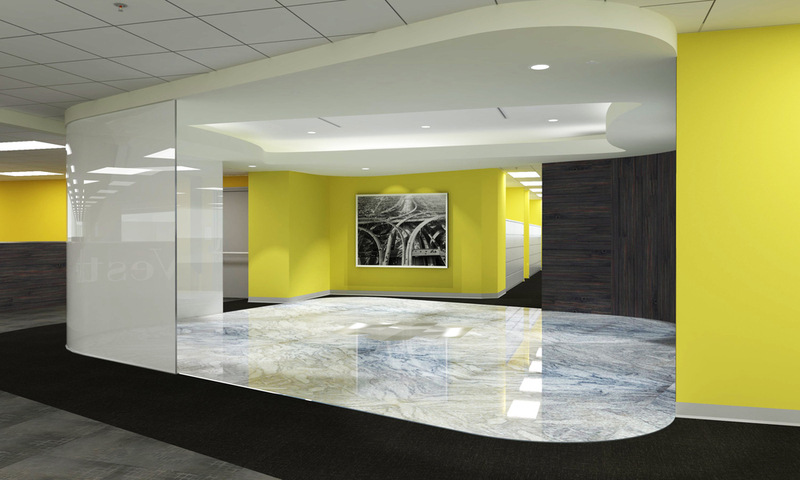 UNILAV design was awarded the project of completely re-building the lobby/reception area and upgrading the entire floor (30,000 Sq. Ft.) with new carpet, paint and a variety of attractive design features without disturbing or re-locating any personnel. Unilav orchestrated the project successfully including the new Lobby/Reception area which features a book-matched Carrara White Marble floor with a brushed stainless steel logo inset and Floor to Ceiling, curved glass walls.